How to hide/remove or show comment box for particular blogger post. 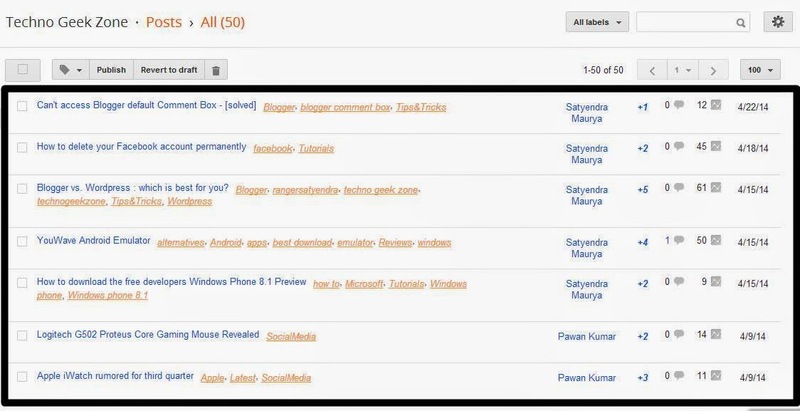 If you want to hide/remove OR show comment form also known as comment box from specific post of blogger. Then this is so simple. In most cases Pro Sites remove comment form and sidebar from contact us page etc, Because it gives more social impression and look neat and clean. 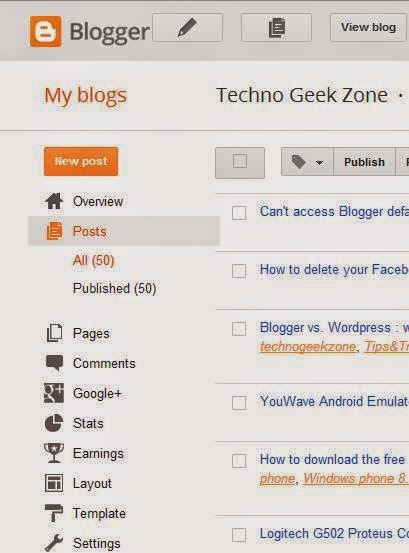 By the way comment is the heart of the blogger because it builds a connection between the bloggers and the readers. Step.2 Search for the specific post, for which you want to hide the comment form. 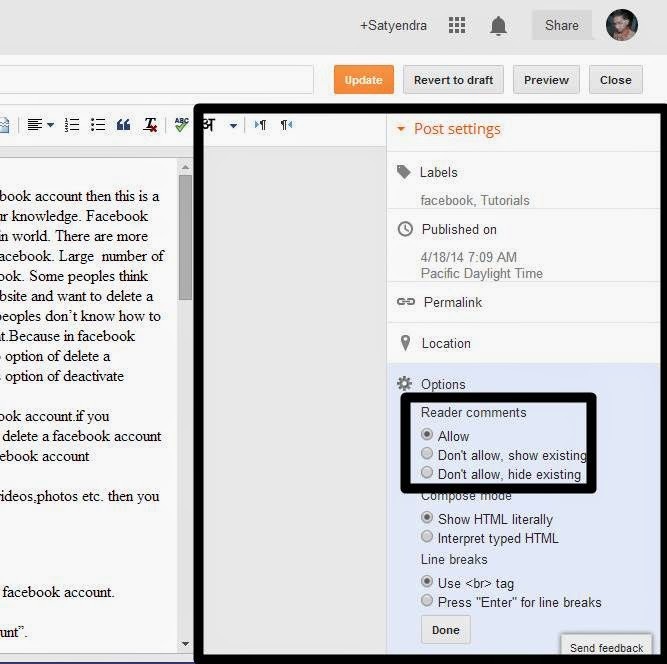 Step.3 Edit the post and on the left list search for "Option" now in Reader Comments check on "Don't allow, hide existing" then click on done and update your post. 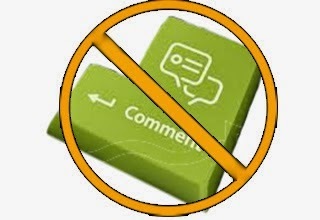 Now comments are disabled for the selected post below.If you want to show comment box then select "Allow" in Reader comments.